Great news- SSA was recognized four times at the AIA Maine Design Awards Banquet in May! 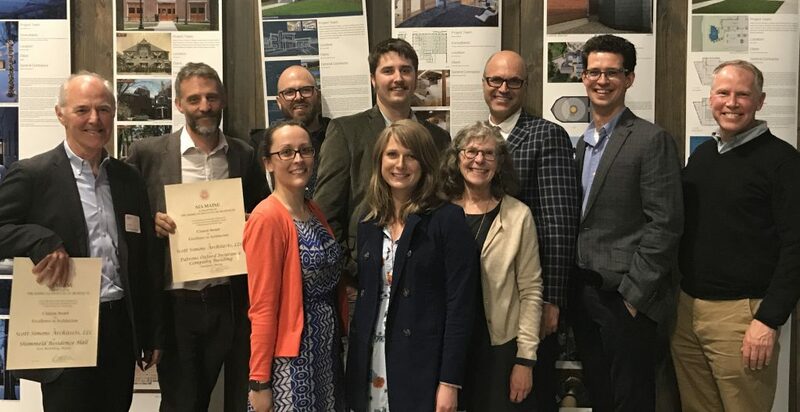 The Residence Hall and Visiting Scientist Apartments at Bigelow Laboratory for Ocean Sciences, Brattleboro Music Center, and Patrons Oxford Insurance Company all won Citation Awards. Patrons Oxford was also the recipient of the People’s Choice award for Commercial Projects! We are thankful for our talented project teams and wonderful clients for making this honor possible. It was such a treat to see all of the amazing entries on display from architects throughout the state.